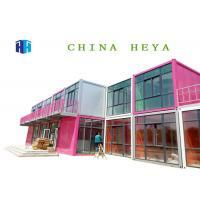 The container hotel is a fashion prefabricated building that can assemble different sizes of prefabricated container houses to achieve different visual effects according to their customers' preferences. In the process of design, our designers will first consider the security factors, in the absence of security risks, and then create a beautiful complete set of plans to provide the best service for the customers. Skeleton: light steel structure, material Q235, thickness 2mm-3.5mm. 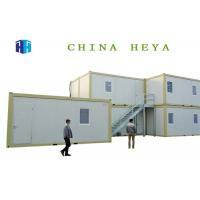 Size: the outer dimension is single box movable room, 3000*6000 can also be customized according to customer needs. Ground: the whole welding is based on standard channel steel and square pipe purlin, and the 18mm thick container floor is padded. Anticorrosion: epoxy zinc rich primer, 30 m thickness, one coat, top coat, 30 m thickness, two. Heat preservation: thickness is 50mm or 75mm; material is rock wool, glass wool, flame retardant foam, polyurethane. Interior wall: purifying board, color steel composite board, decorative board, composite board, gypsum board and cement board. 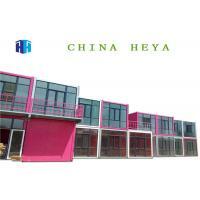 Windows: plastic steel windows, view floor windows, double window screens and curtains. 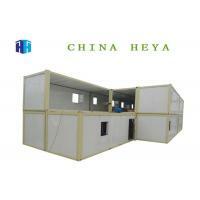 It is green, time-saving, labor-saving, flexible and changeable. Compared with traditional housing, it can provide more choices for home, individual, family and even a community. 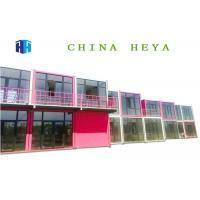 The prefabricated container houses are full of fashion and are very friendly to the environment. 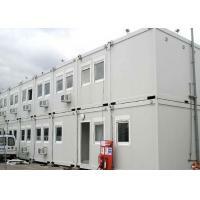 1, easily transported, especially for units that frequently replace construction sites. 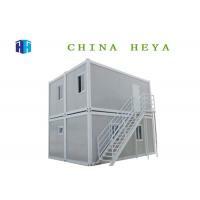 3, good sealing performance and strict manufacturing technology make the movable room have good water tightness. 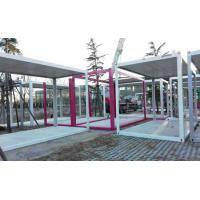 4, the activity room can be derived from the standard steel chassis. Such as conference room, dormitory, kitchen, toilet and so on. The standard width is 2.4 meters, the height is 2.2 meters, and the length is 4 meters to 12 meters. 5, easy to assemble and disassemble, superior performance, stable and stable, shockproof performance, waterproof, fireproof, anticorrosive and light weight. The house is an integral structure with a frame inside. The wall is steel plate. It can be decorated with wood veneers. It can be moved as a whole, and its service life can be up to 25 years. Delivery by 40'HQ shipping container by bulk packing in general. Mixed packaging:roof frame and bottom frame will be packed together with bolts;all the wall panels packed together with wooden pallet in the bottom,corrugated board on the surface,and XPS board in the interspace. And it will be shipped in 40’ container . A: Take out the small packages. B: Use folk lift to take out the wall panel packages. C: Grapple the corner on bottom side of the container house and drage the package out,remain about 50cm in the shipping container. D: Use folk lift to lift the container package in the middle and move it out of the shipping container. E: Put the package on ground sidewise, use wooden pad if it’s flatwise. 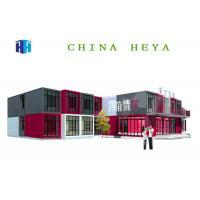 Shandong Heya International Trade Co,.Ltd. 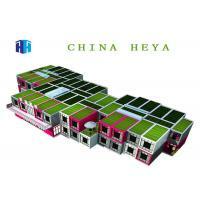 is becoming the best Chinese prefabricated housing solutions supplier. 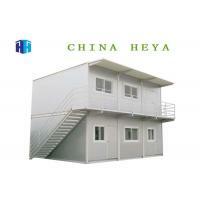 Our products include prefab house,container house, mobile homes, prefab villas, light steel structure,and so on. We have more than 7 years experience in the industry, professional manufacture and procurement team, maintain long-term cooperative relationship with many well-known manufacturers. Depending on your requirements, our engineers will provide you with the planning and design layout, professional installation and assembly team, will be completed in time for you to install. Rely on global supply chain procurement, to provide you with office furniture, air conditioning and other rich ancillary products. Our company is committed to become your trusted partner, you focus on your area of expertise, let us help you deal with the temporary office and warehouse of a comprehensive solution. 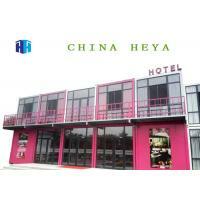 Company address: Weifang city, Shandong Province, China. Look forward to our business cooperation !